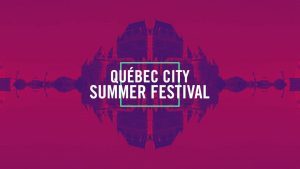 Canada Hosting 51th Quebec Summer Festival: Camila Cabello, Shawn Mendes, Lil Yachty and Neil Young are amongst the acts who have kicked off the 51st season of Festival d’été de Québec in Quebec City, Quebec, Canada. Camila Cabello is part of the largest sellers of drives in 2018. Not surprising when one knows the course copy that has been undertaken by the ex-member of Fifth Harmony. 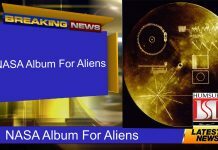 In January 2018, his first solo album, Camila has been unveiled, and his song “Havana” became a tube, ranking number one in the Billboard Hot 100 in the United States. Since then, the star of 21-year-old has travelled throughout Europe for her tour Never Be The Same Tour, ensuring also the first parts of Taylor Swift during her Reputation Stadium Wolrd Tour. 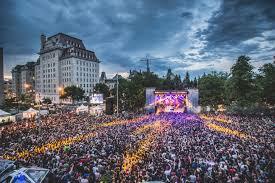 The Quebec City Summer Festival is an annual 11-day music festival in downtown Quebec City normally starting on the first Thursday of July. With its 132,000 passes sold, a total attendance of about 1.5 million festival-goers year in year out and its hundreds of performances spread over a dozen venues, the festival has established itself as a major player on the music festival circuit. Its main stage (the largest of its kind in North America) is located on the historic Plains of Abraham with a site capacity of over 100,000 (102,000 at The Rolling Stones concert in 2015). The festival is also known for its eclectic musical selection and its urban setting, with most venues in the downtown area and within walking distance of each other.